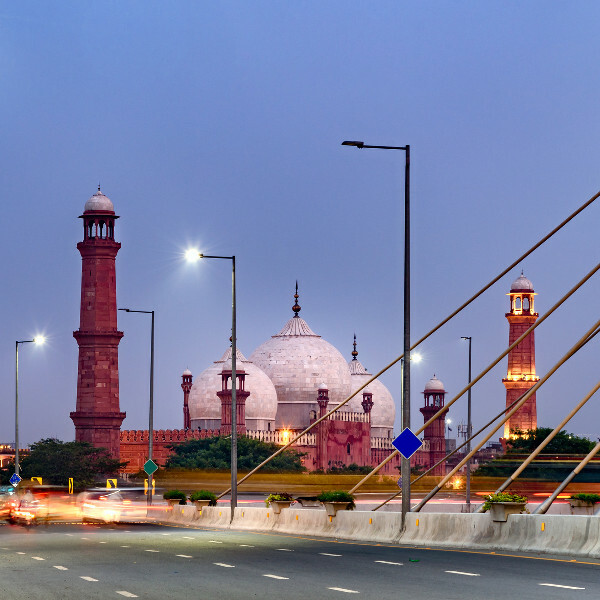 Lahore is the cultural capital of the Punjab Province in Pakistan. With over 9 million people, it is the second-largest city of the country. Lahore offers you the chance to discover its rich history, with its ancient architecture and sacred sites. The leading tourist attractions of this destination include Lahore Fort, Badshahi Mosque, and the Shalimar Gardens. Get ready to experience this historical city, because cheap flights to Lahore are now available for a limited time! This destination is home to the Allama Iqbal International Airport (LHE), which is a 20-minute drive from the city centre. 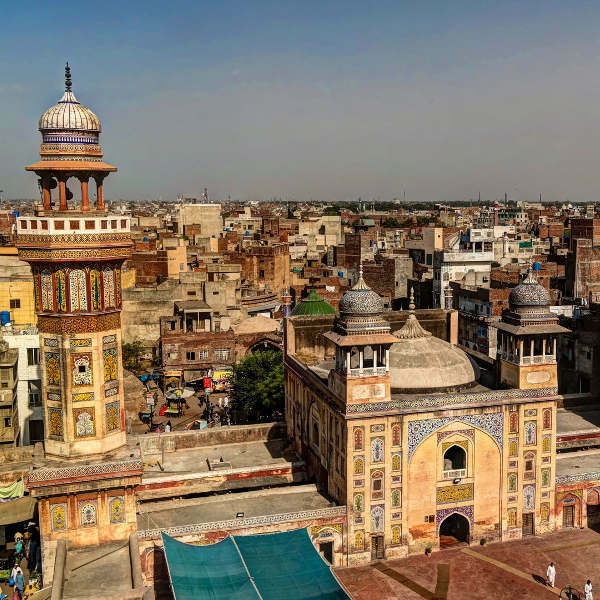 The rich history of Lahore will have you taking tours through museums and admiring the city’s magnificent architecture, which dates back to the Moghal Empire. 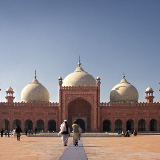 Being an Islamic city, Lahore features a large collection of majestic mosques for the more spiritually minded. While enjoying your time in this exotic destination, explore the large range of shops, markets and stalls. The most popular time to visit Lahore is during the winter season (December – February), since the summers of May to July bring temperatures as high as 48°C. The winter season, however, sees a rise in the amount of tourists visiting Lahore, due to the various festivals that take place in Pakistan, such as Ramadan, the Urs religious festival, and the Festival of Lamps. This means lower availability and high accommodation rates. If you want cheaper hotel costs, visit during the summer period, but make sure then to pack light clothing, hats, plenty of sunscreen, and book accommodation with an establishment that includes a pool. Lahore, the capital of the Punjab Province in Pakistan, is the cultural capital of the country, offering you the chance to discover its rich and exciting history and enjoy its range of shops and attractions. The top attraction of Lahore is the Inner City (also known as the Walled City), which was founded during the historic Moghal Empire. It includes the Lahore Fort, a massive structure where the imperial quarters were built. This is a UNESCO World Heritage Site, and includes a museum dedicated to the 18th Sikh period. In Lahore, you can buy fresh meat dishes and potpourri, as well as local handicrafts, silks, cottons and printed materials. 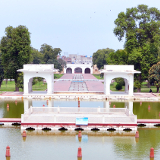 Families can visit the Lahore Zoo, which was built in 1872, and is one of the oldest zoos on the sub-continent. Compare several airlines, and book your cheap flights to Lahore online at Travelstart! Get up to date on all the routine vaccinations you will need to receive before visiting Pakistan. Other diseases to watch out for include hepatitis A and B, typhoid, rabies, Japanese encephalitis, and mosquito-borne diseases such as malaria and Zika. Make sure to only consume food that is hot and has just been cooked, and to only drink bottled water. Steer clear of any demonstrations – should they break out, stay in your hotel room until the commotion has passed. Women should be sparing with their smiles, especially in bazaars, since it might lead to misunderstandings. 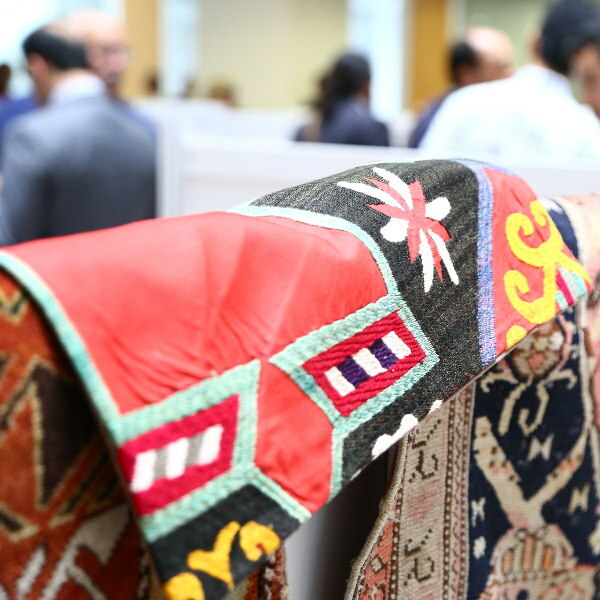 Women entering mosques need to wear a dupatta (a scarf which covers the head), while both men and women need to remove their shoes at the entrance. Avoid appearing drunk in public, and guard against pickpockets in public places. A large concentration of credible hotels are available throughout Lahore, many with pools, restaurants, complimentary breakfasts, fitness centres, free Wi-Fi, cinemas and more. The cost of staying at one of these establishments usually ranges from ₨ 790 to over ₨ 23 000. In Lahore, you can either go on foot or catch a tuk-tuk/auto-rickshaw. If you’re walking, make sure to get directions from at least three people to confirm an address. The heat and crowds, however, might make you decide to stick to using other modes of transport. Metro buses are available as well, with lines running from the northern part of the city to the southern part. These buses are plentiful and are air-conditioned, safe and comfortable. Taxis are available as well, but you will need to book one over the phone. Travellers, especially women, should avoid the minivans, which are often crowded, and driven by reckless individuals.